Lapointe’s wrongful conviction brings back Martin’s cold case because if we take Lapointe out of the equation we are left with no answers. Who killed Bernice Martin? “On appeal, the petitioner claims that the court improperly rejected his actual innocence and ineffective assistance of counsel claims. 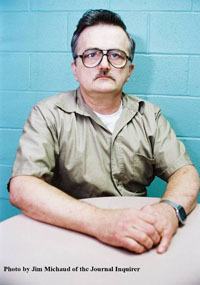 We conclude that the court properly determined that the petitioner failed to prove his actual innocence claim, but we agree with the petitioner that the state’s suppression of certain material evidence deprived him of a fair trial and that he was prejudiced by his prior habeas counsel’s failure to pursue that issue at the first habeas proceeding. From the Supreme Court’s decision: ‘‘Our use of the term ‘actual innocence’ is of paramount significance. Actual innocence, also referred to as factual innocence . . . is different than legal innocence. Actual innocence is not demonstrated merely by showing that there was insufficient evidence to prove guilt beyond a reasonable doubt. . . . Rather, actual innocence is demonstrated by affirmative proof that the petitioner did not commit the crime.’’ (Citations omitted.) Gould v. Commissioner of Correction, 301 Conn. 544, 560–61, 22 A.3d 1196 (2011). “We conclude that the state’s suppression of the Ludlow note, and Vogt’s failure to pursue that claim, warrants a new trial for the petitioner. We reach that conclusion for the following reasons. Culligan and Cosgrove testified that had the burn time information in the Ludlow note been disclosed prior to the petitioner’s criminal trial, their trial strategy would have changed. They stated that they would have used the thirty to forty minute estimate to buttress the petitioner’s alibi defense, particularly because the estimate came from one of the state’s fire marshals assigned to the investigation. As Culligan testified, the defense would have retained the services of an arson expert. At the second habeas trial, the two experts called by the petitioner testified that the fire could not have been set any earlier than 7:30 p.m. If that testimony had been presented at the criminal trial, and credited by the jury, the petitioner’s whereabouts at and after 7:30 p.m. would have been critical to his defense. For that reason, as both trial counsel testified, they would have called Karen Martin as a witness at the criminal trial. She consistently had maintained that the petitioner was in their home with her and their son the entire evening of the victim’s homicide.18 During her testimony at the suppression hearing, she stated that the only time that the petitioner was not in her sight was between 6:15 p.m. and 7 p.m., when she was bathing their son. As ecstatic as we are that this mentally disabled man is finally getting a chance to have a fair trial we cannot and must never forget that without Lapointe we are back at square one in the cold case of Bernice Martin. Who did this to Mrs. Bernice Martin and why? We need a new team to review her murder. I hope that we do not forget her case just because we are so happy that Lapointe is finally getting fair treatment.